If you are looking to buy a piano in Putney and the surrounding London area visit Sheargold Piano Shop. Just 30 minutes down the A3, Sheargolds is situated in the picturesque village of Cobham. Surrey. We have free parking and you can buy a new piano and make a day of it by visiting the numerous Cobham cafes or tourist attractions like Painshill Park or Cobham Walk. Whilst buying your new piano for delivery to Putney why not make a day of it and do the Cobham and Downside walk. A pleasant stroll of an hour or two, on level ground and mainly away from busy roads. Put away those muddy boots and surf around in minutes. Being situated in such a nice area, we are often asked by customers from Putney buying a new piano about nice restaurants to visit or somewhere to go to make a day of it. 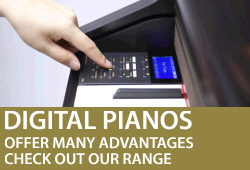 We are always happy to recommend places for our piano customers to visit. You can also take the children to Brocketts Farm where they can pet the animals and have a great time! 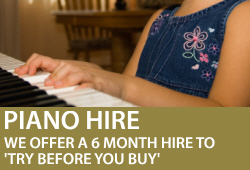 So if you are looking for a piano shop in Putney with a difference then call Sheargold Pianos on 01932 866577. 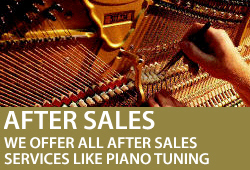 We also provide piano tuners and piano tuning in Putney and the surrounding areas. We do piano removals in Putney if you are moving house too.